The White House will send greeting cards signed by the President of the United States to commemorate the birth of your newborn baby free of charge to U.S. citizens. How cool is that! I wish I would have done this for my son. 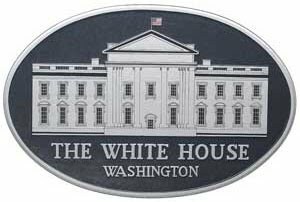 The Obama White House is informing citizens requesting greeting cards that it is currently taking "several months" for the request to reach the Greetings Office and be mailed out. While the Greetings Office is unable to guarantee on time arrival of greeting cards, they promise it will arrive eventually. 1. You must be a citizen of the United States to request one. 2. The request must be made after your baby is born and before he/she turns one. It takes 6 weeks to process the request. 3. Include your baby's name, address, date of birth (month, day, year), as well as your name and phone number. Take note: Baby must have been born within the past 12 months and requests should be made after baby's birth. A minimum of six weeks is needed to process your request.